One of us! One of us! One of us! That’s usually what we chant while our editor-in-chief Patrick chugs yet another gallon of queso, but in this case, we’re talking about Toyota CEO Akio Toyoda. The man is a donut-ripping hoon just like us. Toyoda wanted to demonstrate their most fun model—the 86—at the launch of their new GR performance line in Japan. Now if only the rest of Toyota’s line-up reflected this need to rip donuts. Look, man, we need a manual V8 Camry on less bouncy suspension with sufficient power to smoke the meats. 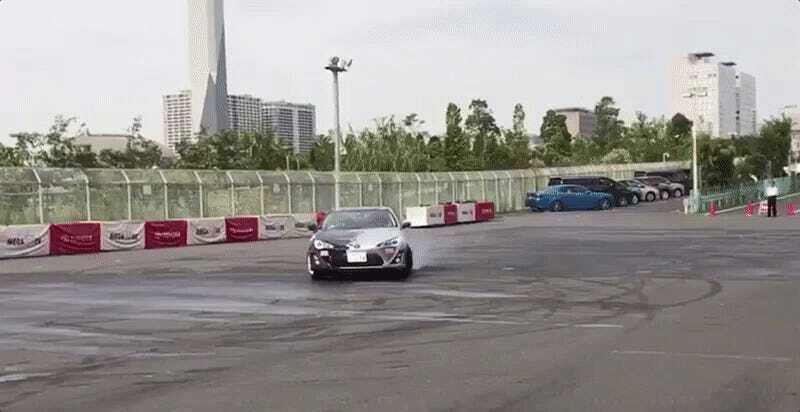 This isn’t the first time Toyoda has hooned a Toyobaru, either. I’m certain it won’t be his last. You can’t just have 86s sitting around the company and not want to destroy every tire within 50 feet.